The 2017 season turned out to be another cracker for the Guildford Millers. They put a 12-2 record up which beat their previous season record and made the play-offs taking the second seed. This is the story of their post season. 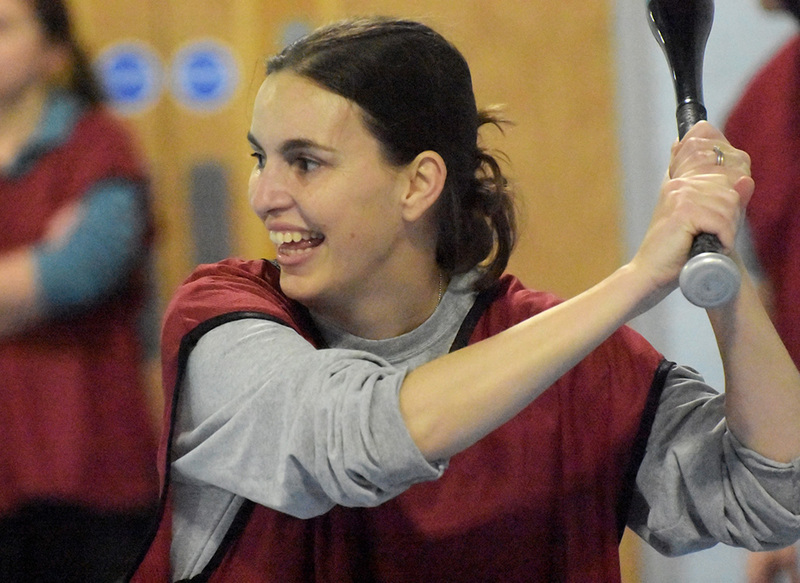 After finishing second behind Norwich in the southern Single A championship, Guildford welcomed the fifth seed Essex Archers to Christ’s College for the quarter final where victory would mean a trip to Farnham Park. It was a familiar trip for Essex as it was a repeat of the same fixture last year where they lost 14-8. Guildford started strong and plated nine runs in the first two innings compared to just the one Essex run so it looked at that stage that history would repeat itself. Matt Friend and Adam Gould were making good contact and were the right choice in the middle of the order. 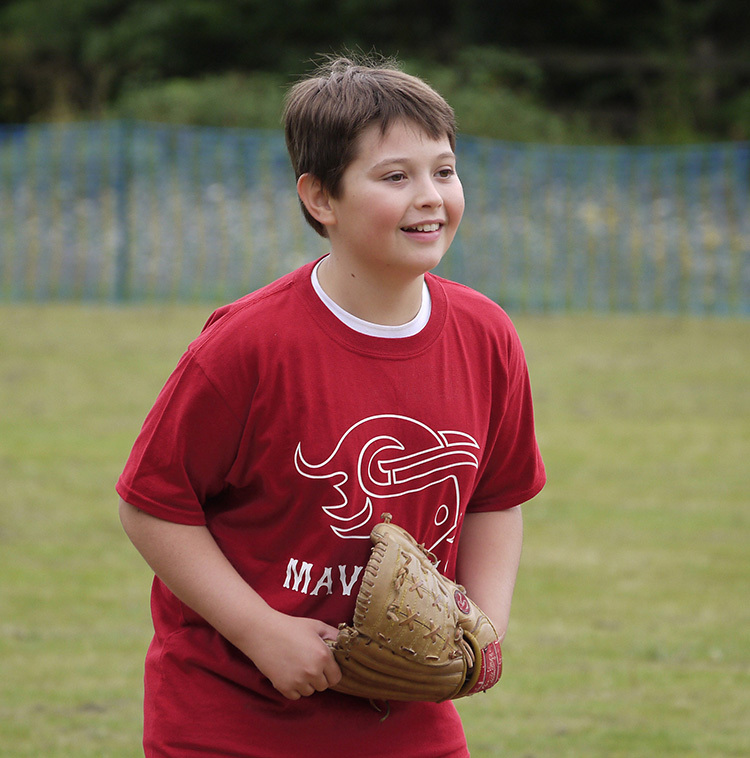 Lewis Bawden started on the mound for the Millers and showed no nerves striking out three and allowing three runs on three hits in three innings. He handed over to Gould in the fourth and in the middle third of the game, the balance tipped slightly towards the visitors as they worked their walks and found their hitting but never more than a double. It was to be the seventh inning that got the home team concerned as the Miller’s six run lead was whittled down to just two. 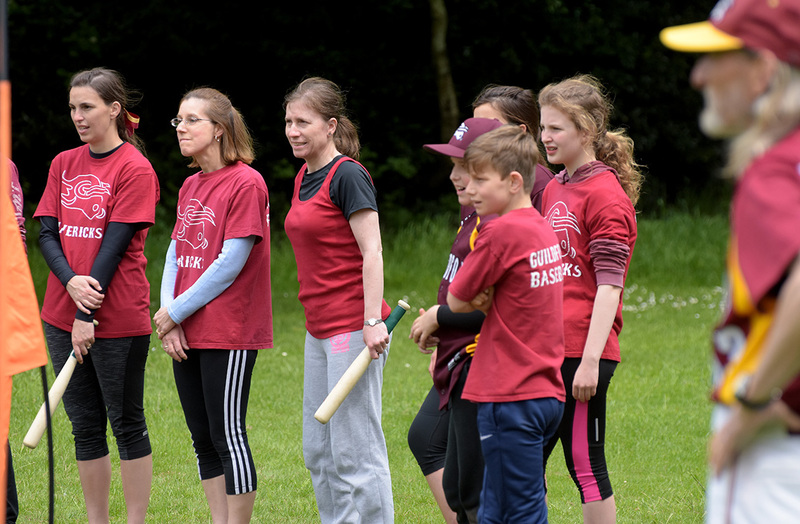 The Archers top of the order came through and the team batted around plating five with a ringing double from their third baseman. Tetsuro Shinkawa was given the ball in a pitching change that was to be the clincher. He finished the eighth inning off with a strikeout and opened up the ninth with the same. 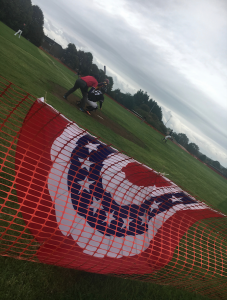 However, it wasn’t easy going for Guildford as their two run lead sank to one after shortstop Bridger walked, stole second and came round to score his sixth run in six plate appearance after a single from Sprent. He too stole second so the tying run was half way home with only one out. Shinkawa held his nerve and forced a pop-up to the Millers second baseman and on four pitches struck out the next batter to ensure it would be the Millers in the semi finals. Final score 15-14. Guildford were seeded away to a team that they hadn’t played before: the Northants Centurions from the Single-A Central division. They were only formed three years ago and had fully deserved their semi final place, having only suffered two losses from 24 games. It looked to be a tough match up. A tough game it turned out to be – and hugely dramatic too. Gareth Beeby started pitching for Northants and had a good command of his fastball to limit the Millers batters to one hit over the first two innings. Lewis Bawden had earned his right to start again for Guildford and despite the added pressure of a different ball park and many more people watching he too matched Beeby. It was a tense start to the game and a great advert for the quality that is at the top of both Single-A divisions. The Millers struck first with Shinkawa crushing a ball to left centre and using his speed to record an inside-the-park home run. Guildford were the louder dugout but this lead was soon erased in the bottom of the inning where a run to the lead-off hitter and then a couple of walks with a two run single by the Centurion’s third baseman Gavin Wilkinson tilted the game to Northants. In fact, Guildford simply couldn’t score again until the seventh and by that time they were trailing by five runs. The Millers got two runners on base and Shinkawa again went deep to record his second home run of the game, in fact – of the season! Considering he was now pitching for Guildford, he was doing it all. 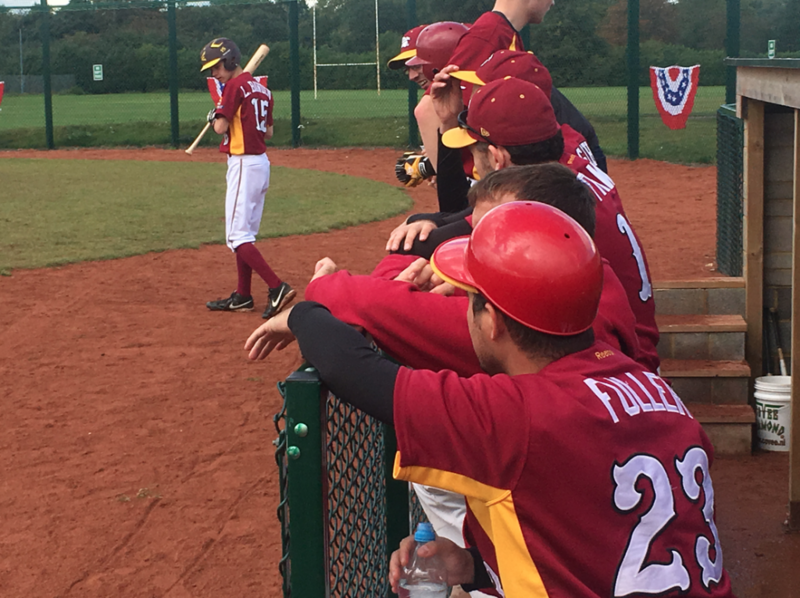 The back and forth game continued with the game poised at 11-6 to Northants entering the ninth inning. The Centurions needed three outs, the Millers needed a miracle. But it wasn’t over yet. The Millers now had a two run lead and it was their turn to get three outs to close the game. Northants had other ideas and pushed back to grab two runs to tie the game and take the game into extra innings. 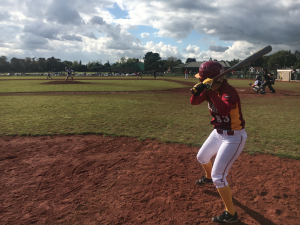 Thankfully for the Surrey team, Laura Bailes and Brett Lowrey had RBI singles as Guildford scored three times. This time there was no answer and a shut down inning ensured that Guildford won a thrilling game 16-13 and would be facing Norwich in the final.Newcomers to the league, Norwich Iceni had completed a fantastic season going unbeaten 14-0 and had made a name for themselves with their pitching and hitting. They had beaten the Millers earlier in the season but underestimating them would be dangerous. Pitch limits and pitcher availability didn’t help Guildford only the day after the semi final victory. Although having pitched five solid innings the previous day, Shinkawa was given the ball. With a runner on base, Norwich’s Tom Thornhill jumped on a pitch to record an inside-the-park home run and give them an early lead. The Millers picked their pitches in the second inning by their first three hitters reaching and loading the bases. However, an infield fly out plus two strike outs stifled an immediate reply. 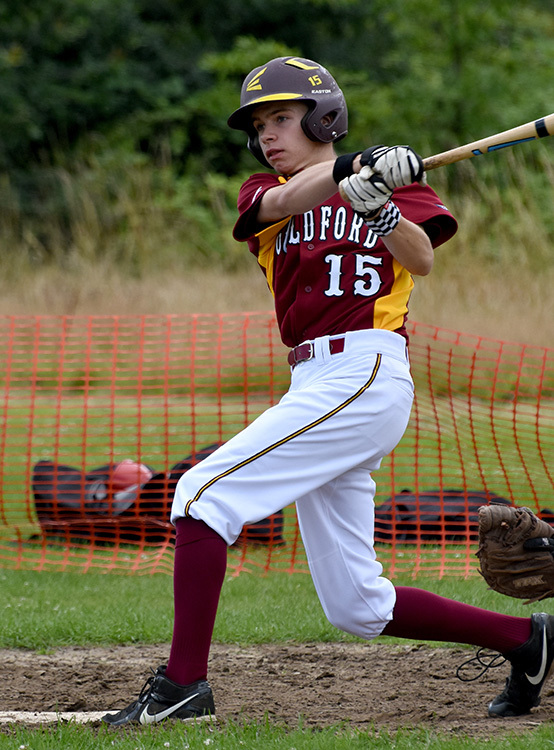 Guildford notched their first run in the fourth with a RBI groundout by outfielder Will Frawley. Things became interesting in the following inning as four runs scored with hits from Stobart and Tim Bawden and the lead swapped hands. Mid-sixth, Guildford were leading 6-4. It wasn’t to last as Norwich had a monster inning and sent 11 batters to the plate to score seven runs. Suddenly the lead looked a long way away. Guildford added to their total but so did Norwich, keeping the game very tight. The eighth inning was to prove crucial as hits from Brett Lowrey, Matt Friend and Shinkawa had everyone cheering when four runs scored. Pinch hitter Luis Padron hit Bailes home and the scores were level 11-11 entering the bottom of the eighth.It wasn’t to be as again, Norwich answered with another timely inning scoring five. Their rallies came at the right time. Guildford didn’t let go and a late surge in the top of the ninth sent seven batters to the plate. Trailing by four after Frawley had scored, the Millers had the bases loaded with two outs but the game ended with an instinctive grab by the pitcher on a hard liner from Stobart meaning that Norwich took the title winning 16-12. Norwich had a great season and we congratulate them on this – especially if you consider that apart from the Millers, the closest another team got to beating them all year was losing by ten runs. 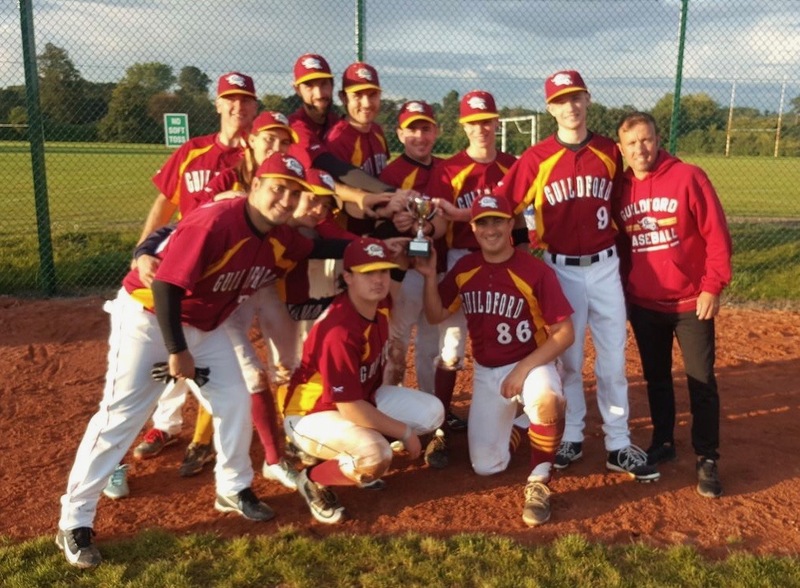 Guildford were also the only team all year to take them into the ninth inning. All the players, members, volunteers and coaches of the Surrey side can hold their heads up high. Congratulations of course go to everyone involved with the the Guildford Millers for another fantastic season. There’s no point in dwelling about what could have happened as that is now in the history books but boy, was it close. Nice write-up, Ben. Hope to get to more than 1 Millers game in 2018 – hopefully will see some of you @ BK’s for WS, (featuring a certain team from LA, who undid your favs in a reverse of last year).